HOW IT WORKS: Plan your tasks into Today, Tomorrow, and Later lists. Use Life Lists to organize everything else! More than 95% of reviewers give Do.List 3-5 stars! Over 92% give it 4 or 5 stars! ○ An extremely helpful Grocery List! ○ Simple designs, zero confusion! "Sticking with this type of task delegation is a great decision." Do.List is a task management app for people. I'm not building for an enterprise corporate client. I design for normal lives. The design is simple enough that it's intuitive. 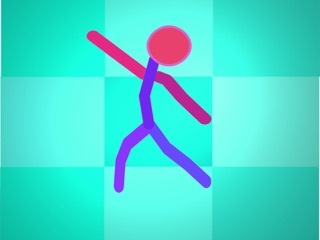 Use the tutorial to get started or skip it and explore! When you need to give a task a due date, add it to the "Reminders" list and you'll get a reminder! When you open Do.List, the home screen is "Today". That helps keeps the focus on what's important. "Do.List is a minimalist app empowering focus." "Personally, I love this app... I encourage anyone who needs to organize their life and loves doing it with lists to use this." Long lists of errands or tasks become overwhelming. If your Today list goes over 5 tasks you'll be encouraged to shorten it! All data saved locally on phone, plus just tap "Backup" in Settings to backup to iCloud. - Do.List is not a calendar and will not offer that functionality in the foreseeable future. - Do.List's design encourages going deadline-free. Instead, it encourages you to focus and look at your list often. - Do.List does not allow you to sync lists. It is not an enterprise app for teams, it's for people and their lives! 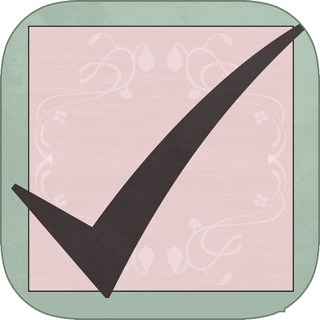 - Do.List is iPhone only. There's no syncing, so it doesn't require an account. Do.List does not require an account! The app does not track information to identify you. The app collects aggregated numbers, such as how many tasks are added or completed. This data is anonymous as Do.List does not know your name, address, or other information that could be used to identify you. Your tasks, descriptions, and photos never leave the phone unless you yourself back them up! Deliver a new level of organization within an intuitive interface. Avoid task pile ups. Keep lists short and motivation high. The way this app is organized makes using it a breeze. I downloaded this app during a stressful, hectic time at work because there were so many things I needed to remember to do. For a three-week period this app helped me prioritize projects on a day-by-day basis; the design of this app (today, tomorrow, later) really makes important leadership skills, such as time management, goal setting and prioritizing tasks, easy to accomplish. Even though the stress level at work has ebbed and I don't strictly need to use this app, I still find that I turn to it simply to keep track of the little things that need to get done. Love, love, love this app! There is no comparison with anything else I have tried over the years and I have tried many. Unlike list and reminder apps that came with my phone this app allows for different categories and reminders. The Life list section is amazing! It allows the user to customize "Life Lists" but also offers suggestions. It understands that some tasks have due dates such a finishing a report for work, while other tasks just need to be done today (pick up dry cleaning or mail cards) but they can be moved to tomorrow if something comes up. Toggling between lists is so easy that it is the key feature of this app. I love the hints and reminders which are literally helping me to shape my behavior. For example, this morning I started packing my "Today" list and a little reminder popped up to let me know that my list should be "doable". I realized the app was right! I immediately started thinking over the next few days to see what I could reasonably accomplish whereas previously I might just have a list with twenty five items that kept being moved to the next day. This app is brilliant! Love it! 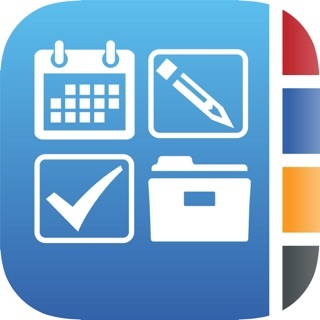 After looking for a decent to-do list organizer app for years the product is finally here. The simple elegant design of three main lists (Today Tomorrow and Later) is exactly what other to-do lists have been lacking. The user interface is clean, simple, functional and elegant. It's also great that if you want to make other types of lists you can do so. This allows you to take a large project and break it down into smaller tasks and then gradually move those tasks into today's activities and thus complete the project over time. It also allows you to make lists of books, wines, movies that you want to experience, but this powerful add on capability does not get in the way of the simple but powerful three list design. I have tried eight to do list apps before finding this one. My search is over. Thank you to the developer for recognizing our need for this simple but very powerful tool. Requires iOS 10.1 or later. Compatible with iPhone, iPad, and iPod touch. Life Lists: Simple List Maker!